Inside: Fun and unique Easter basket ideas for adults! Easter is just one month away! Which seems crazy in the middle of our snow storm this last week, but totally true. 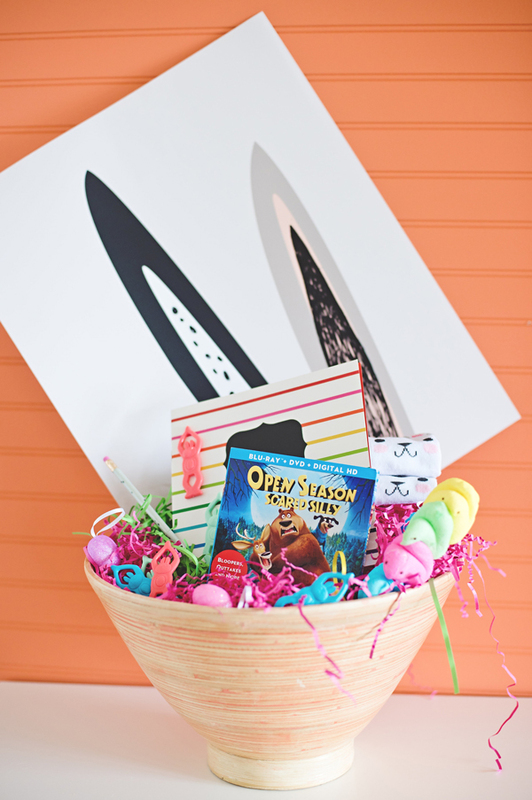 Easter just wouldn’t be the same without a cute and colorful giant Easter basket filled with all sorts of goodies. 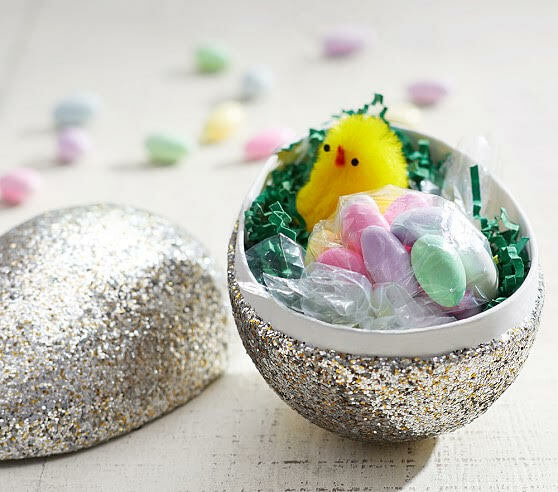 We’re branching out from the traditional basket fillings this year and have found some really fun and unique Easter basket ideas to share with you. Copper wire has never been prettier! 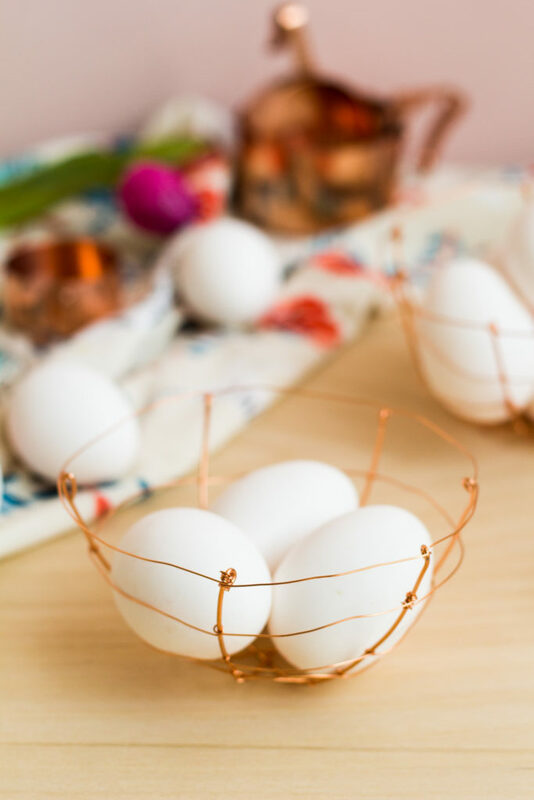 These dainty little Copper Wire Egg Baskets are so simple yet so elegant, even undecorated eggs look fancy in them. 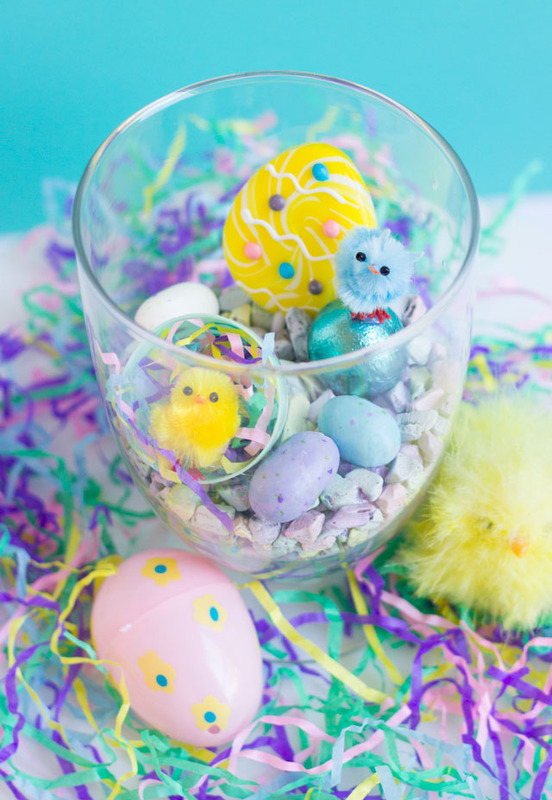 Create a tiny little habitat filled with robin’s eggs for a yummy DIY Easter Terrarium. Who says the egg can’t be the basket?! Giant Glitter Easter Eggs for the win! I’ll happily trade in a stuffed-to-the-brim basket of goodies for just one of these adorable Basket Cake Pops… who’s with me? 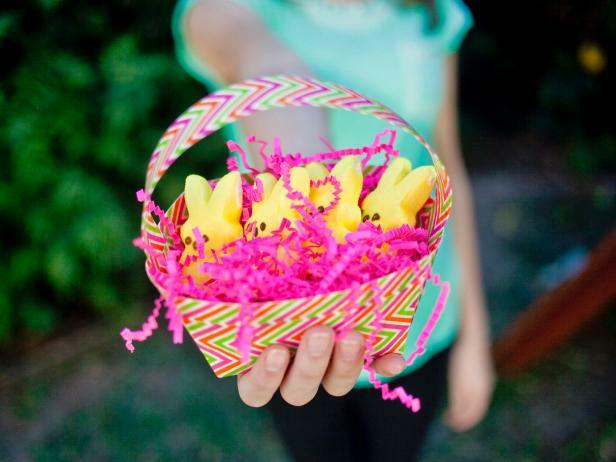 A good Easter basket is all about the fun and whimsy. We aren’t at Christmas so the gifts don’t have to be huge, but little special momentos can be the best way to go. I saved a couple of boxes of Girl Scout cookies to include in ours this year. The kids are going to flip for something so simple and yummy. 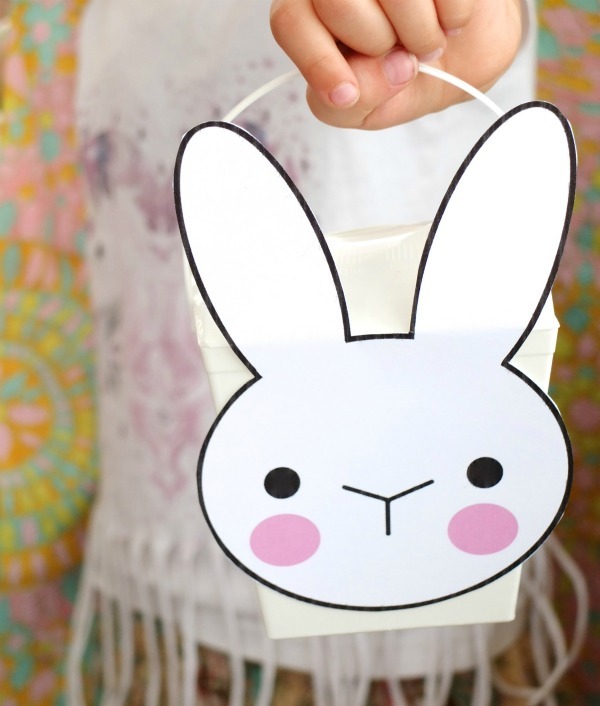 Mini Bunny Bags are the perfect basket alternative for tiny hands that easily topple. And, they’re just as cute as can be! 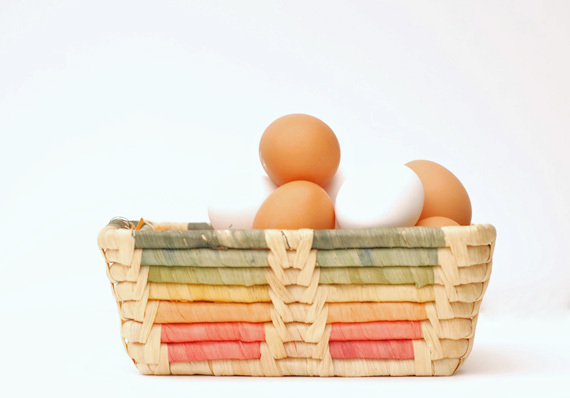 Upcycle the trash from your weekly takeout to create these adorable Takeout Baskets. 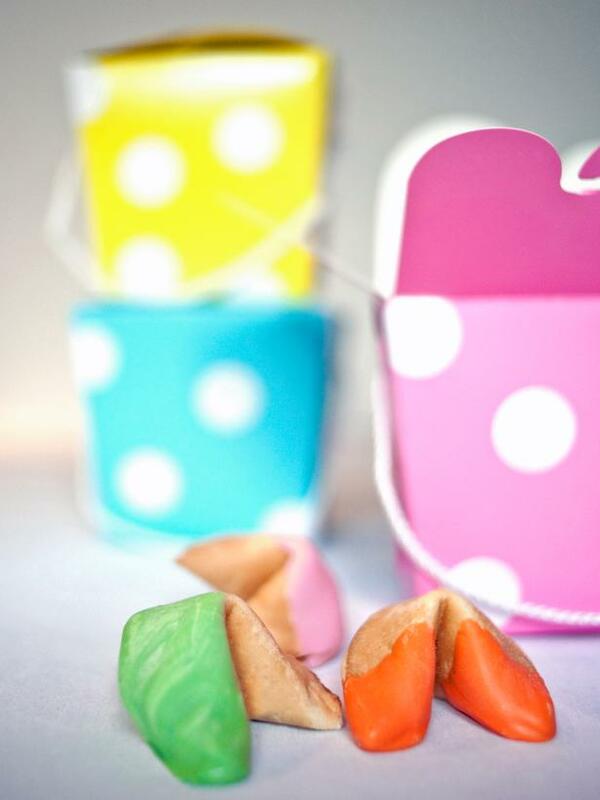 For a festive Easter basket addition, include some colorfully dipped fortune cookies (here’s my colored fortune cookie recipe) along with the traditional Easter favorites. Egg cartons were literally made to hold eggs. 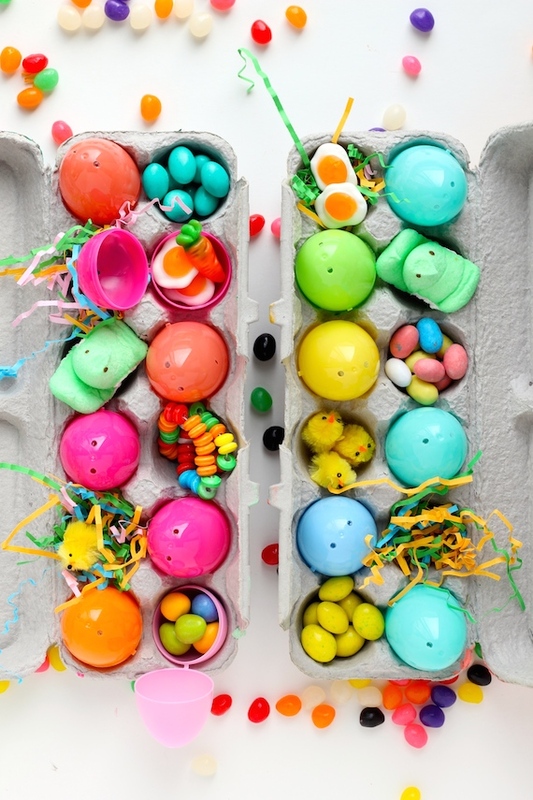 So, why not use them to their fullest and fill them with all of the bright and colorful plastic Easter eggs filled with all of the yummy things? 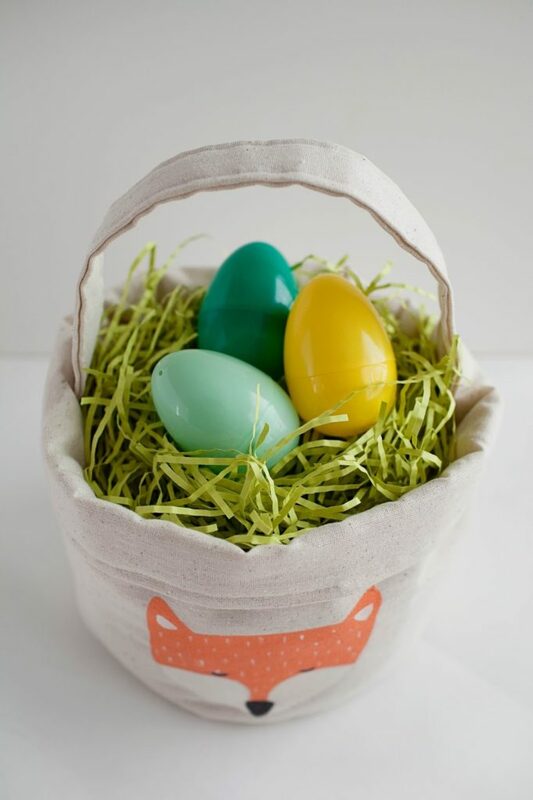 I just love these Painted Egg Cartons for a simple, back-to-basic Easter basket. 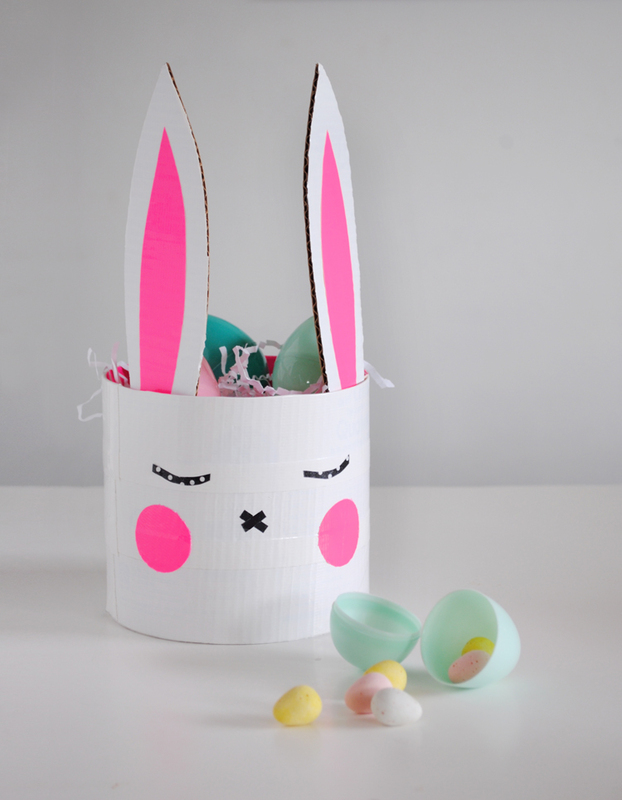 This Cardboard Bunny is made out of an oatmeal canister and is a sweet last-minute way to create a fun basket out of supplies you probably already have at home. 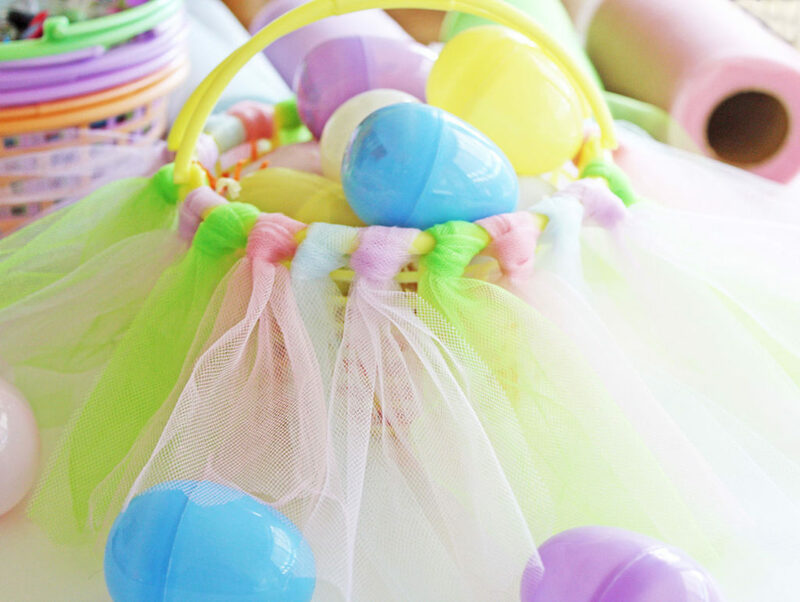 We’re convinced that a functional basket + colorful stuffing = the winning formula for creating the perfect kids’ giant Easter basket. 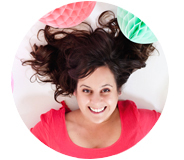 We’d love to teach you How to Stuff a basket the Kids Will Love! 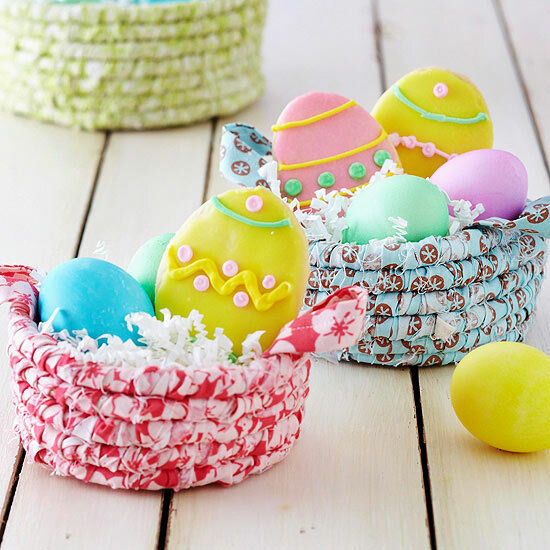 Pick your favorite pattern and get to making these unique Coiled Fabric Baskets for every little love bunny in your life! I’ve said it once and I’ll say it again: balloons are the best! And here they are making a debut for Easter– acting as a mold for these Sugar String Easter Egg Baskets. 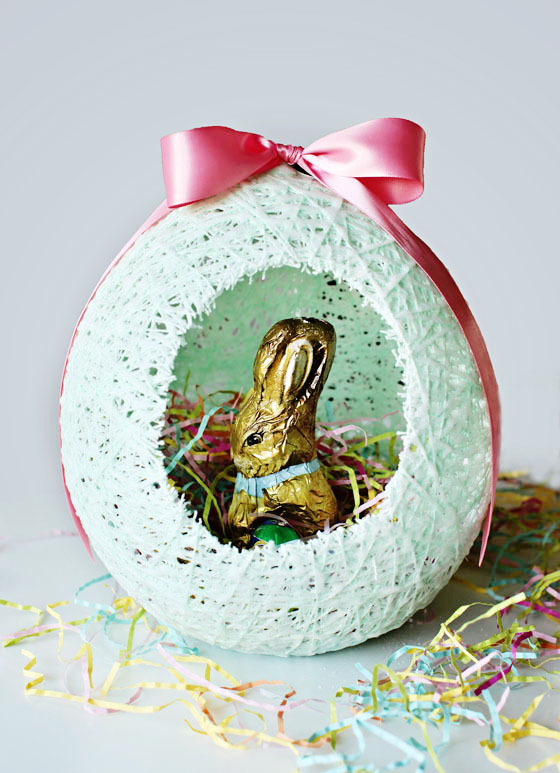 Cannot wait to make one of these this year, plus these make the best giant Easter baskets! Gah!!!! This is my favorite of all the Easter basket ideas. For those of us who are kids at heart, a big bowl of fruity cereal always sounds good. 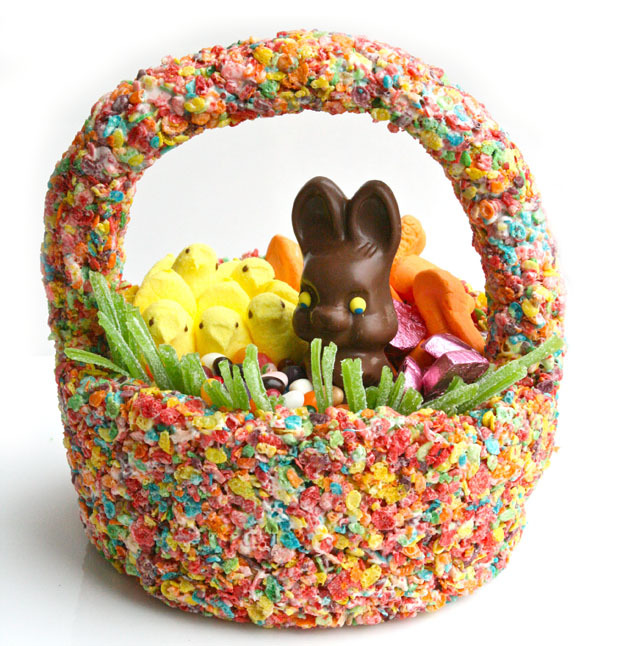 This Easter, a Cereal sweet basket is sure to give you that sugar high without opening a single piece of candy… but I think you should anyway. 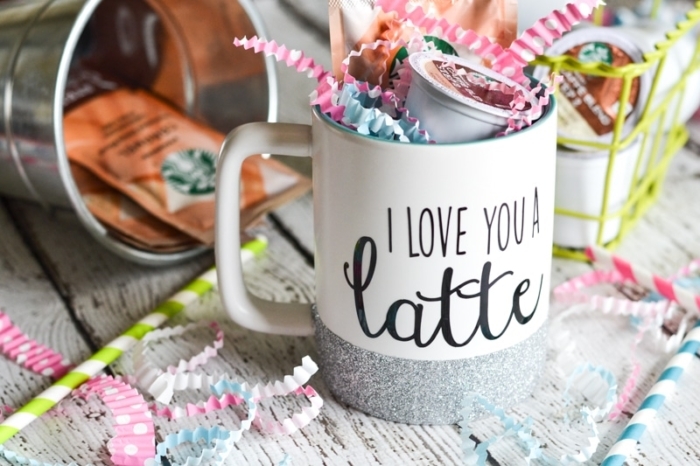 Not judging at all if you make a Glitter Dipped Coffee Mug to house all of the Easter treats you may or may not be set aside for yourself this holiday ;) As for the maker of the baskets, you deserve one that’s just for you, a special Easter basket ideas for adults… am I right? 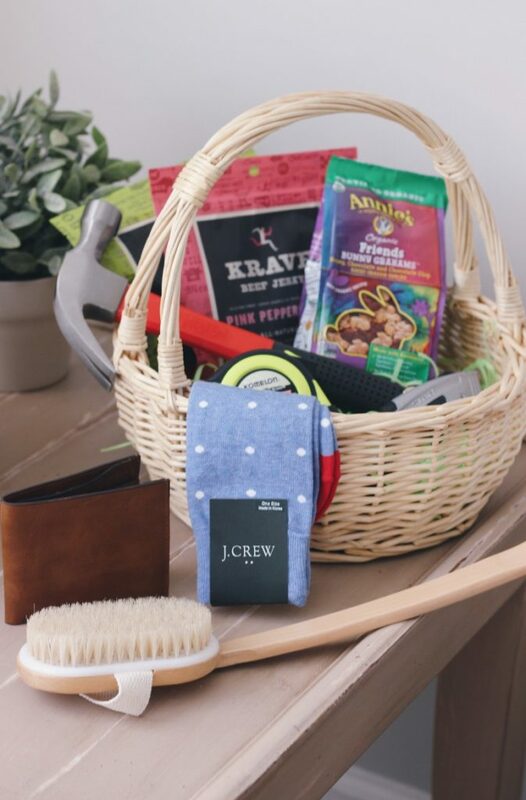 His & Hers Gift Baskets are perfect for your parents, besties, neighbors, or co-workers. Spread the love this Easter and don’t just leave all the fun to the kids! 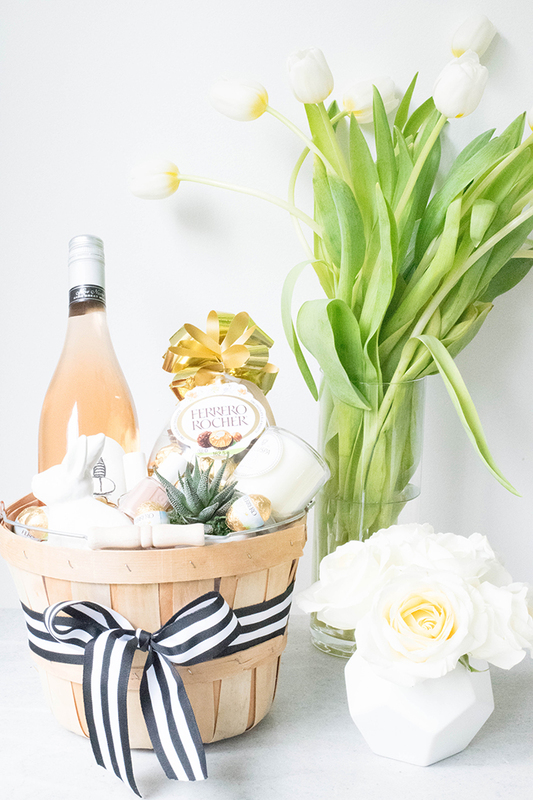 This is the best Easter basket ideas for adults! 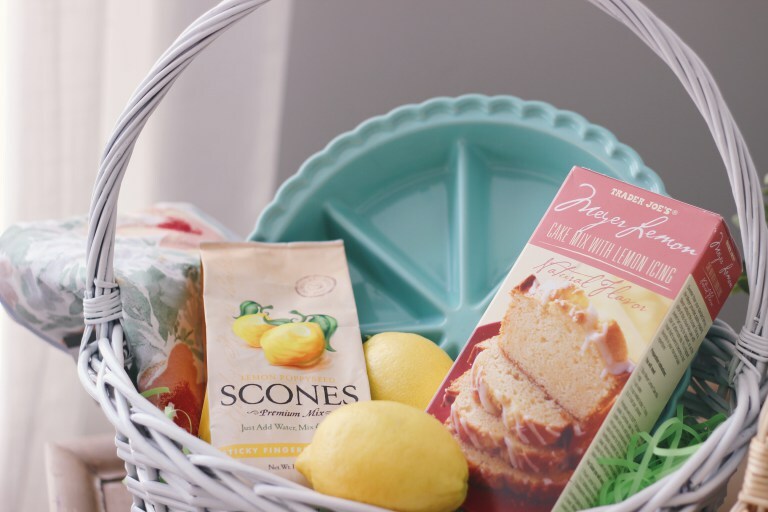 Here’s an idea for a gal pal: a Grown Up Basket. Wine, chocolate, a candle…sounds like a dream, right? Make one for yourself too! You deserve it. 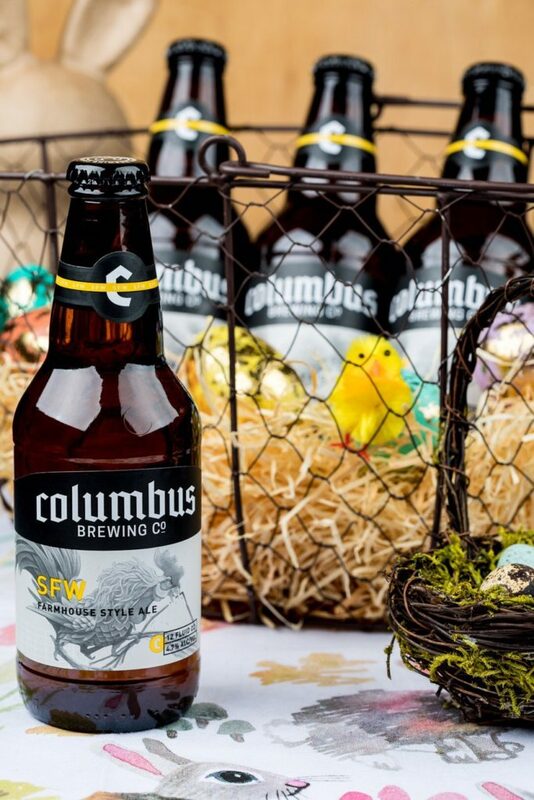 And we can’t forget the Easter basket ideas for adults men…give your guy a Beer Basket this Easter for a surprise that’s sure to get a smile. DIY Mason Jars are a fun way to nestle just few little favorites. Don’t trash the Sunday paper! Use it to make a Newspaper Basket for a one-of-a-kind look this season. This Glass Berry Pint Basket is a gorgeous way to display all of the festive goodies. From candy to makeup, and everything in between, any girly girl will love what’s inside. Bonus: she’ll get to use the glass berry pint as a pretty decorative bowl once the holiday has passed! 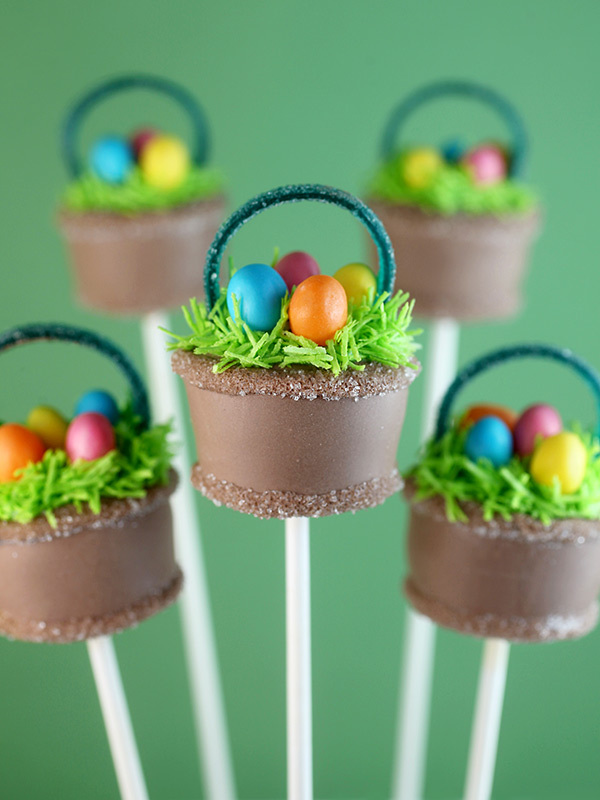 Mini Basket Cupcakes are the perfect way to spread cheer for a crowd this Easter. 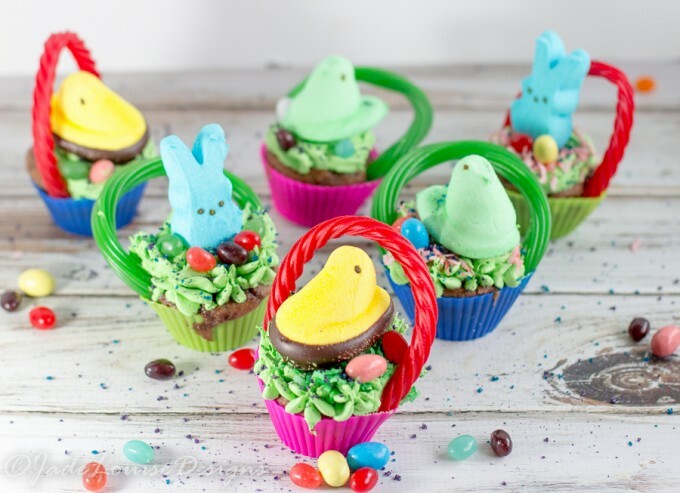 Much easier than making countless Easter baskets, these cupcakes are a one-batch kinda deal that’ll have everyone asking for seconds! Pint-Sized Berry Baskets are perfect for your pint-sized people. Fill with a mix of candy and fun activities, as the gardening supplies pictured. Easter doesn’t have to be entirely about bunnies and chicks, although they’re admittedly adorable. These little Fox Fabric Baskets are just as sweet. In my opinion, no party is really complete without a piñata. So why should Easter be any different? 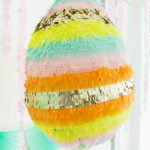 Skip the basket and opt for a Giant Easter Egg Piñata for your big holiday party this year! There’s sure to be enough candy inside for the whole group and everyone will have fun cracking it open. 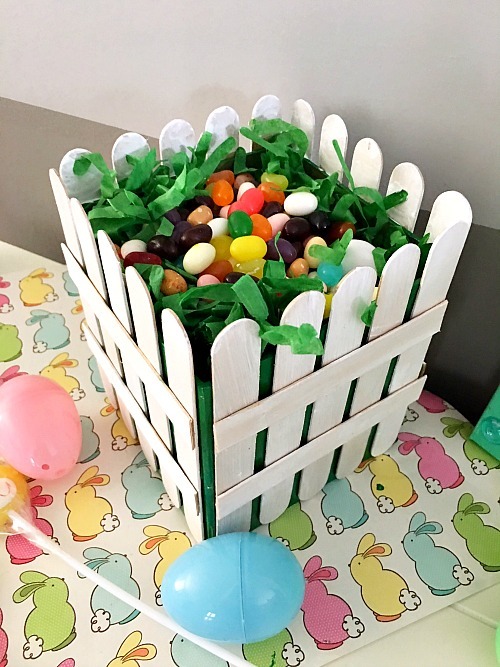 A DIY Picket Fence Basket is perfect for filling with green Easter grass and a “yard” full of colorful jelly bean eggs! Who doesn’t love a free printables? Especially one this cute! Make your own Bunny Takeaway Box in a few simple steps for a sweet little reusable basket for anyone on your list. Duct-tape is totally multi-purpose. But did you know you can create a Duct Tape Basket? Such a fun way to affordably create a bright and colorful basket! If you’ve got a little girl, this Tutu sweet girl’s Basket is probably going to make her swoon. The pastel tulle is easily tied onto any basket you have laying around for a girl look fit for a little princess. 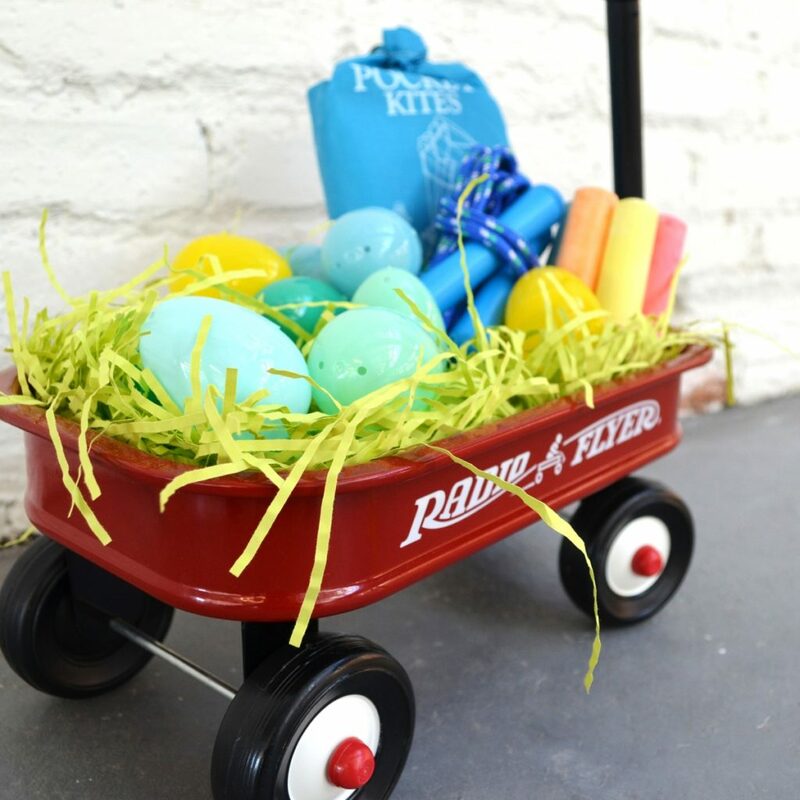 If you prefer to gift the kiddos with something they can keep long-term, this Little Red Easter Wagon might just be the idea for you! 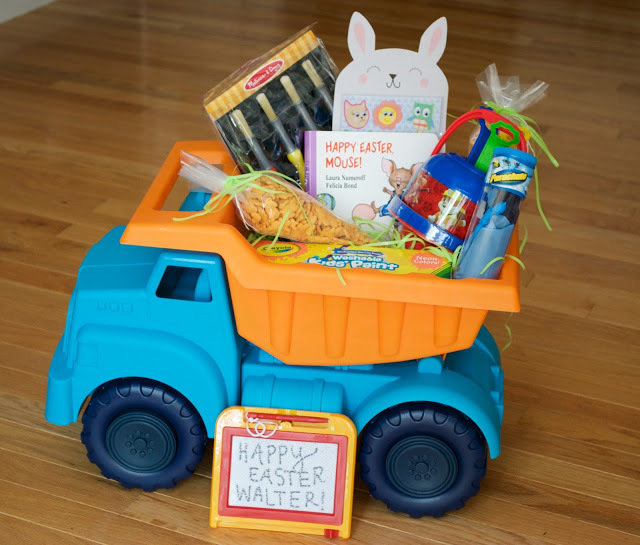 Pack this giant Easter basket full of fun games and activities that’ll entertain the little ones a lot longer than an afternoon of candy nibbling. Our Dyed Heirloom Crafted Basket uses colorfully dyed craft raffia to make a pretty and unique basket that can be used year after year. The holidays are such a special time to start traditions, and this is one we started with our kids, hoping it’ll be passed down for generations to come! 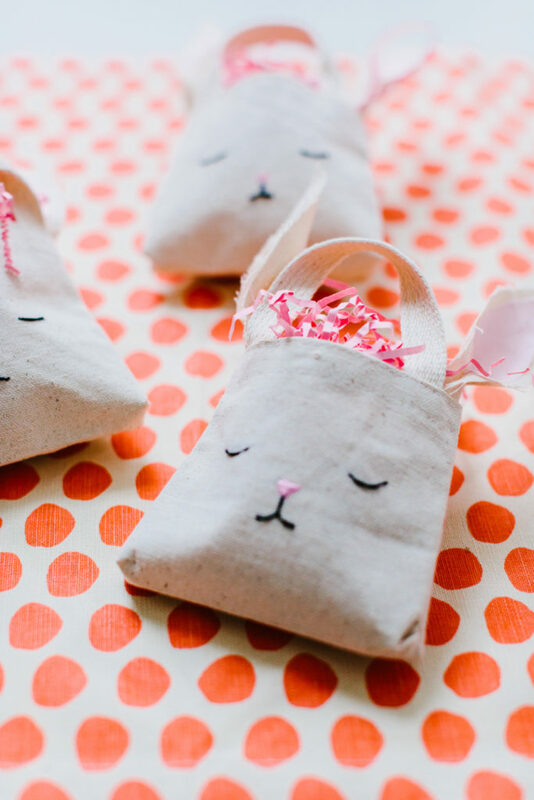 Bunnies are everywhere around Easter time, and Easter baskets are no exception. 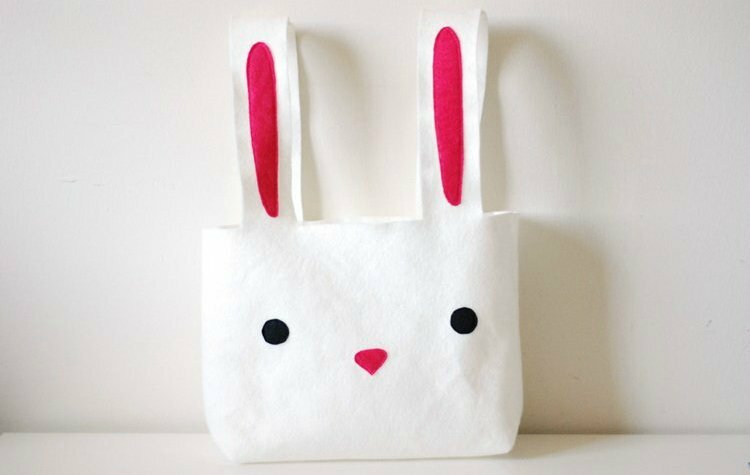 But, we love how this DIY Felt Bunny Basket stands out among the rest with it’s little ears functioning as handles. 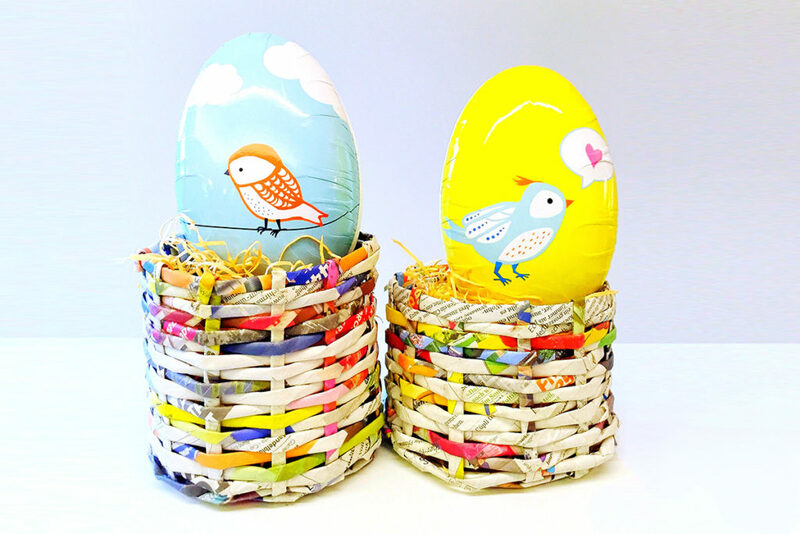 It’s perfect for little hands to carry around an egg hunt, without worrying about losing any loot! There are lots of sugar-free alternatives out there, but for Easter baskets, this is simply one of my faves. 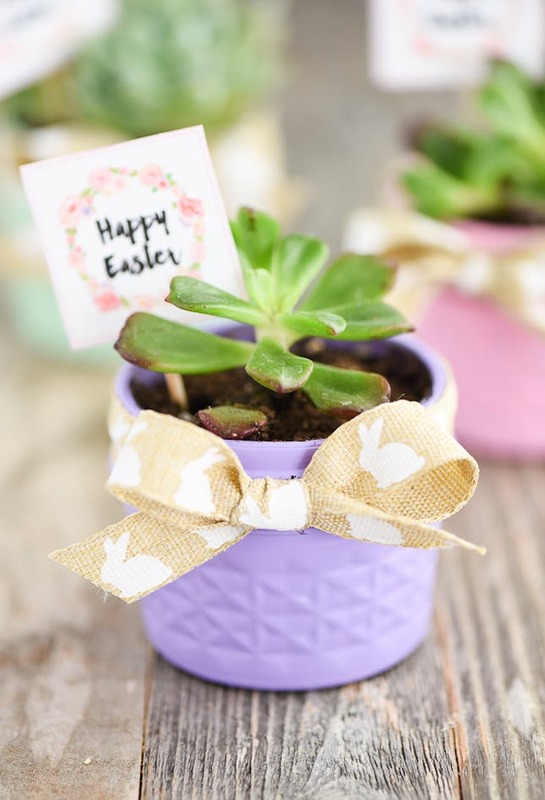 A DIY Mason Jar Succulent Planter is a sweet way to skip the treats this Easter basket ideas for adults, and still give a pretty gift that’ll last. Do you know the saying “April showers bring May flowers”? 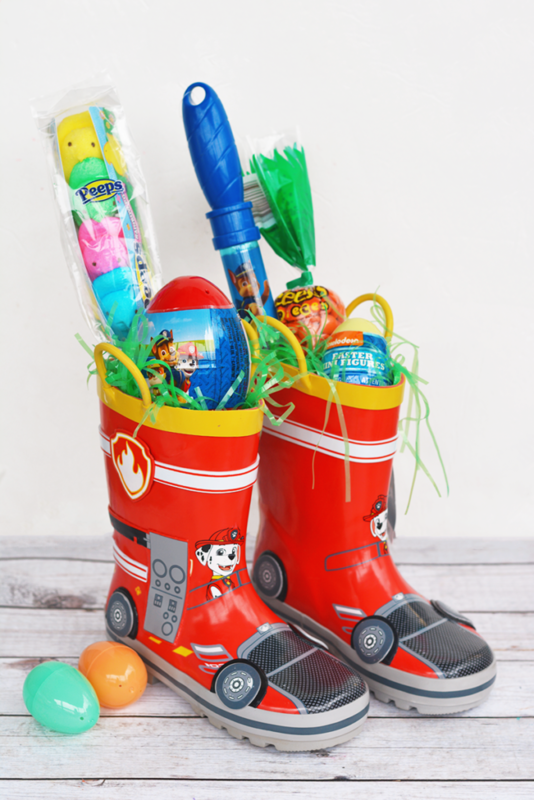 Well, this Rain Boot Basket will have the kiddos ready for the rainy weather to come this spring, and the treats inside will keep them happy while they’re waiting for it to clear up outside. It’s really a win-win! 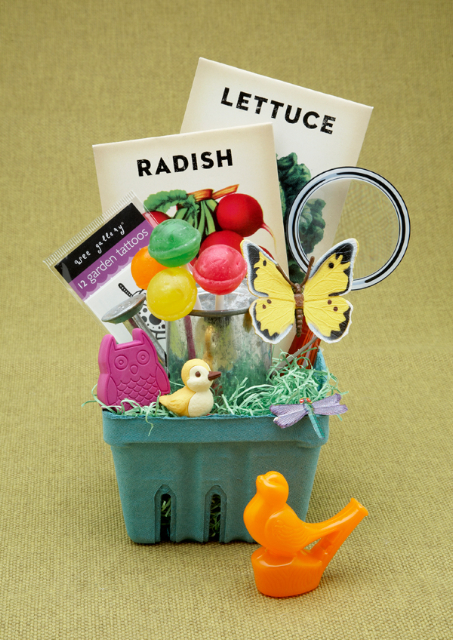 Speaking of May flowers, this Watering Can Gift Basket is a great way to get prepared for some springtime gardening. Fill it with fresh flowers and new seeds to plant so the beauty can be enjoyed all season long. This also makes another great Easter basket ideas for adults! I hope by now you’re more than thrilled to start stuffing a fun and creative Easter basket ideas for adults. 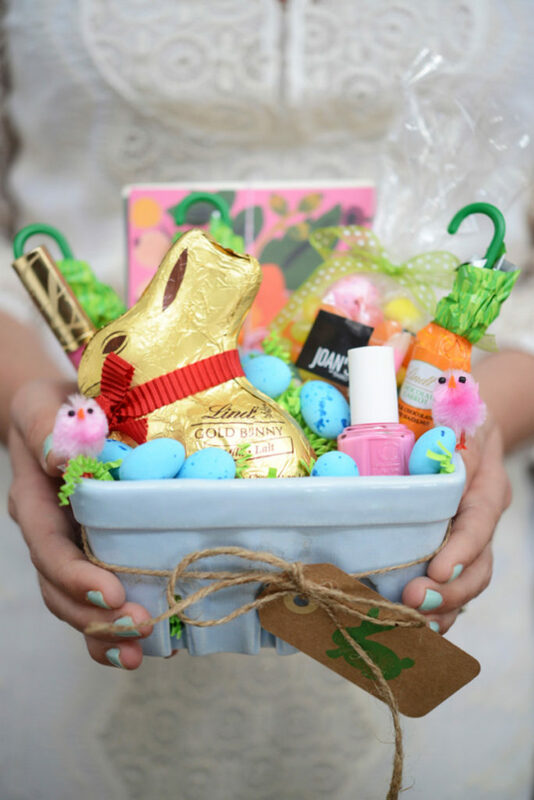 There really are so many ways to celebrate the wonderful Easter season, with a special basket for every special bunny in your life. 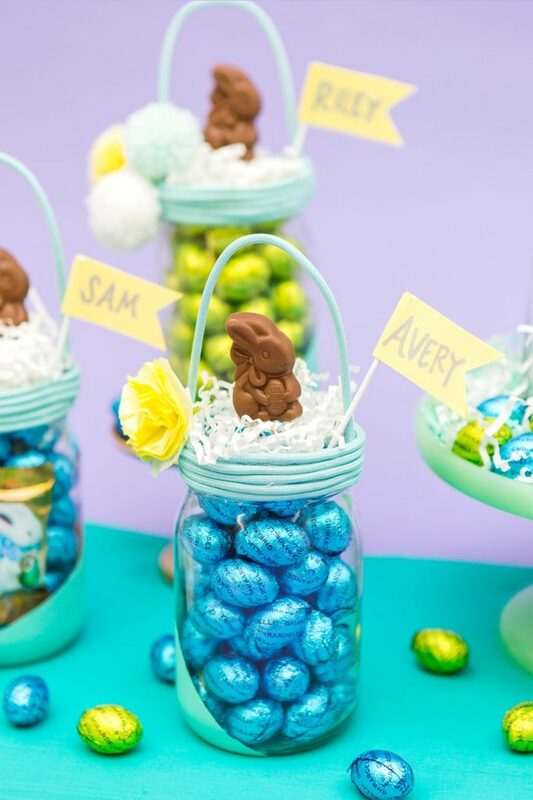 I’d love to hear how you’re making all the Easter baskets this year, I’m always up for more cute ideas! 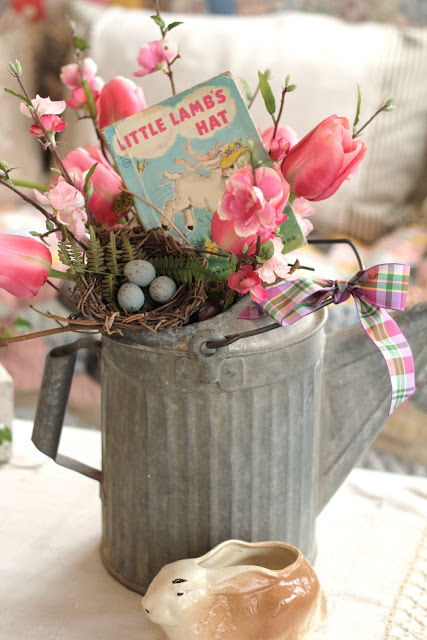 My favourite easter DIY when I was little was always making Easter bonnets, I don’t know why but I just loved them especially if they featured those tiny little chick decorations. Now I’m a bit older I think I’d want one of those tiny gardening supply baskets, because they’re such a lovely way to welcome in spring!